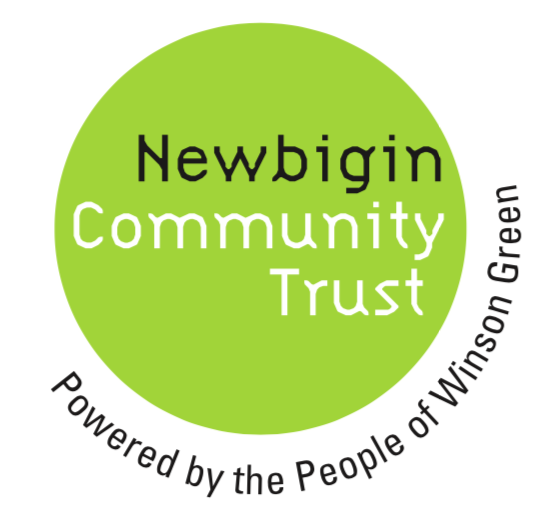 Newbigin Community Trust aims to provide a place of welcome, inclusion and social cohesion for families in Winson Green. Newbigin House is a place where neighbours come together to meet each other, plan and run community events, and share life together. Our vision is to see a neighbourhood that is abundant in positive activities and relationships, a place that reduces social isolation and supports people in times of need. A place of hopes and dreams. Sometimes even where hope is held for those who can’t yet see it for themselves. We are a Christian charity that aims to include people of all faiths and ethnicities. We believe that our neighbourhood is a better place when those people with the problems are supported in dealing with and coming up with solutions to those problems. We value inclusion and participation by all, and we actively work at trying to connect with those who are often excluded from mainstream society . We value asset based transformation- seeing the gifts that God has give to all those who live in this community and providing support so those gifts can be used and dreams come alive for the transformation of our neighbourhood. To be dynamic and flexible enough to respond with others to the neighbourhood issues as they arise. To see locally designed and run activities within the community. To be part of the fabric of the neighbourhood, “doing things with our neighbours rather than to our neighbours”. To see the gifts and skills in others , even when they cant see them in themselves. To see brokenness and struggle in the lives of people as an asset, not a barrier, to volunteering as people learn to use their experiences to help others. To always put people first- over programs and funding. To find new sustainable ways to see community support develop. We long to see healthy and abundant neighbourhoods, where people can feel known, safe and encouraged. We believe social isolation is the cause of much of the suffering in the UK and our purpose is to address this through various creative locally initiated activities. We believe that social cohesions, and cross cultural and religious friendships are the key to reducing crime, addiction, and some mental health issues. Our purpose is to do all we can to be Good neighbours- proving a communal gathering space where neighbours can meet across these barriers. Engaging in intergenerational activities, as well as age specific activities, and learning from each. Newbigin House aims to model community for the neighbourhood, and allow all to come and be part of that.